North Wales is often talked about being the place for big tope, huss, rays and smoothhounds etc. 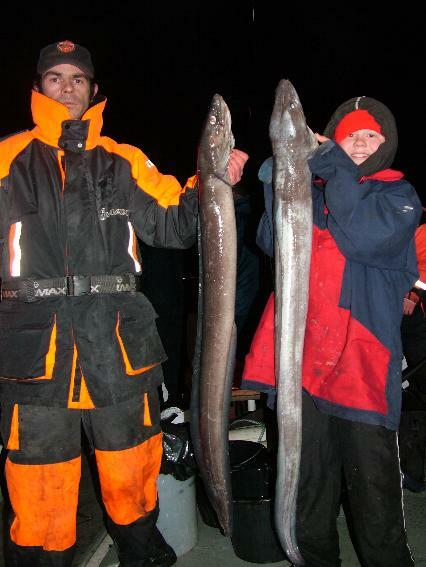 One fish that is often ignored is the conger eel. With fish breaking double figures on most occasions – conger fishing is a thrill all the time. With the weather often being so un predictable in the winter months, at Holyhead we are blessed with a few decent wrecks within 15mins steam from the marina. These wrecks offer some excellent fishing with congers upt o 50lb being caught recently. Offshore on the deepwater wrecks there is the potential for a new WFSA record, at 65lb+. With a long sleek, scale less body, an upper jaw extending beyond it’s lower, there is not much to mistake a conger eel with. The colour of a conger can vary slightly depending on the ground it inhabits, but tends to be from a light to a dark grey/black appearance. The dorsal fin on a conger starts at the pectoral fins, and runs the length of its body. With the close by wrecks the conger fishing can be undertaken on all tidal ranges with no specific sizes proving more productive. It is noticeable however that more fish appear to be caught on the flooding tide. October through to February proving an excellent time of year. Conger trips can either be tagged onto the end of a days general fishing, Or My Way can be chartered for 4 – 6 hrs in the evening with just conger in mind – the choice is yours. Fancy it? 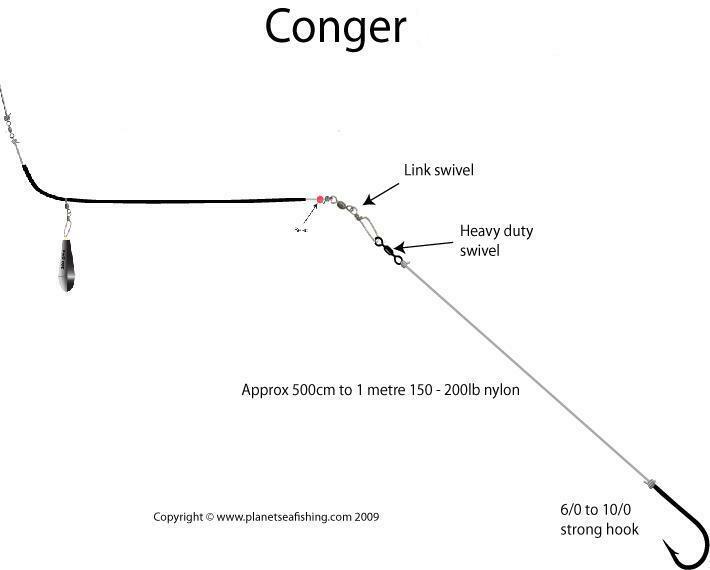 A good strong downtider is the main choice for conger fishing. Uptiders can also be used, the heavy size the better. Lighter rods are also great – giving you the opportunity to pit your wits against these monster fish. Reels can range in size and type. There are a host of different makes and models to choose from however with reels sized similar to the ABU 7000 Shimano, TLD 15, Daiwa’s sl30sh, or the Penn 535 sized reels you can’t go far wrong. Aboard My Way we have ABU 7500C3 reels ready for use, so don’t despair – borrow one! Rig choice is simple. all you need is a 2′ – 4- length of 150 – 250lbmono. One end a good heavy duty swivel and on the business end size 6/0 – 10/0 hooks. Bronze hooks are preferred as these will quickly rust away if the hook is left in the fish. Some people prefer single hook, others prefer a pennel set up. Either rig is sufficient. 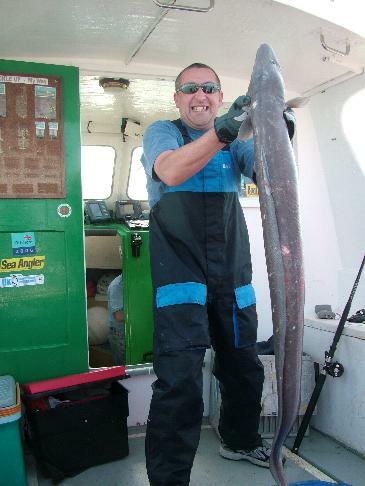 Mackerel, pouting, poor cod or whiting and cuttlefish – all give excellent catches of conger.